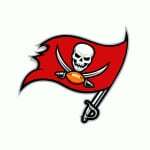 Vote: Buccaneers Team Needs - Fanspeak - Voice Your Passion! What do the Buccaneers need most this year? Drag and drop the team needs to cast your vote as part of Fanspeak's On the Clock User Voting Team Needs!